Northwestern University Feinberg School of Medicine was recognized as one of the best research-oriented medical schools, 20th in the nation, according to the latest U.S. News & World Report rankings, released today. This year marks a significant revision to methodology used to compile the U.S. News rankings for medical schools. In particular, the weighting for the reputation score was reduced by 25 percent to allow the inclusion of other new categories of research funding, and many top medical schools saw unexpected shifts in their placements. This is the 11th year in a row Feinberg has placed in the top 20 of research-oriented medical schools, and several departments ranked highly among the specialty-specific rankings. In another methodology shift, four of Feinberg’s specialty programs were recognized among the best in the nation, with obstetrics and gynecology ranking 8th, internal medicine rising three spots to 12th, pediatrics rising two spots to 12th and surgery ranking 12th. The newly published U.S. News research rankings are based on National Institutes of Health (NIH) funding and other research funding categories, survey assessments completed by deans and senior faculty at peer institutions and entering class data. The magazine surveyed the nation’s 140 fully accredited medical schools and 30 schools of osteopathic medicine. Feinberg, founded in 1859, has built a national reputation for excellence through its leading-edge scientific initiatives, premier clinical facilities and innovative curriculum. 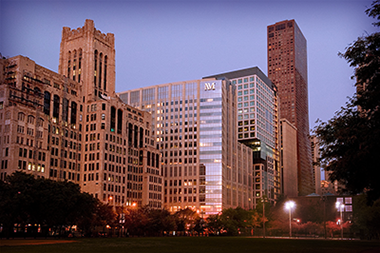 The medical school is a central component of Northwestern Medicine, a top-tier academic health system, and currently includes nearly 4,000 faculty members who teach, conduct research and practice medicine. During the 2017-2018 academic year, Feinberg welcomed 663 medical students, 1,159 residents and fellows, 337 PhD students, 391 postdoctoral fellows, and 716 master’s and professional program students.